Writing has always been important to me. Ever since I was eight years old, I’ve always wanted to write. But in truth, I never felt like writing. I was well in my forties before I discovered that I could write even if I never felt like it. Ten years later, I am on my eighth book and I write nearly every day. You may doubt I can write if I never feel like writing. What makes this possible is psychological flexibility. Today my mission is to slip psychological flexibility in the water supply. Psychological flexibility is the ability to do what matters, no matter what. To put it in the water you drink, I am willing to bottle it, throw it in the city’s reservoir, slip it in the water coolers of your school, campus, or workplace—and mix it in the drinks served in your C-Suite. Doing what matters isn’t that easy. Obstacles can show up and get in the way. First, there are external obstacles. Maybe you’d like to spend more time with a loved one. Unfortunately, this person lives across the country, so it’s hard for you to see them as often as you’d like. External obstacles are, of course, important. Even more important are the inner obstacles. As you know, our thoughts, emotions, memories and other inner experiences can stop us from doing what matters. If you’ve ever felt anxious about speaking in public, if you’ve ever thought that you may fail at something important, if you’ve ever acted out of anger before regretting it, you know how powerful these inner obstacles can be. There is another, more devious kind of inner obstacle. It’s that it can be hard to identify or choose what truly matters. Do you really know what matters most to you? I mean, really? You may hold as important stuff you’ve been told is important, although you never chose it to be so. You may follow rules that do not truly reflect who you are. Some of us can hold as important things that serve to patch some inner wound or to take revenge on our circumstances. How can you tell the difference? This series of blogs will show you how to identify what is truly important to you and how to move toward it—through your actions. You’ll discover how to build a more meaningful life, how to apply your energies more effectively, and how to take better care of yourself and the relationships and people that most matter to you. In other words, you’ll learn how to become more psychologically flexible. Scientific research suggests that psychological flexibility constitutes a meta-skill, a superpower if you will. It gives us the power to better put in action skills we already possess. And it makes it easier for us to learn new skills. One of the best-kept secrets is that most of us already possess most of the skills we need to foster, grow and nurture the life we most want to live. What few of us possess, however, is the ability to face up to our inner obstacles so as to give our best at all times and consistently move toward what matters most, no matter what shows up and gets in the way. In contrast to what we are led to believe, the best way to face up to our inner obstacles is not to avoid them, confront them, or seek to change them in any way. As incredible as it might at first appear, the best way to deal with them is to learn how to notice them in a particular way. There is a way that makes it easier to do what matters most, even when they would stop us. That’s what psychological flexibility is about. 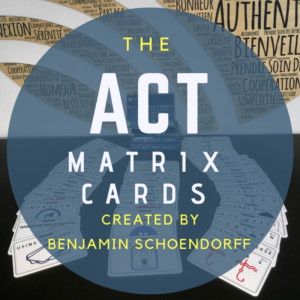 In this series of 53 posts, I will invite you to increase your psychological flexibility by exploring the ACT matrix cards. I created these 52 cards to help you more effectively put your values in action and do what matters most to you, no matter what. Each post will present one of the 52 cards in a few paragraphs written in simple words. The cards will invite you to pay attention to particular aspects of your experience and behavior in a way that you are most probably not used to. I’ll invite you to explore simple and intuitive practice exercises. These exercises are noticing exercises. I will never tell you what to do, how to behave or prescribe this or that miracle solution. The only thing I’ll invite you to do is notice. Noticing is easy enough. And even if what you notice is that you didn’t do the noticing exercise, you’ll still learn. You are about to embark on a voyage of discovery that will increase your ability to live the life you want. 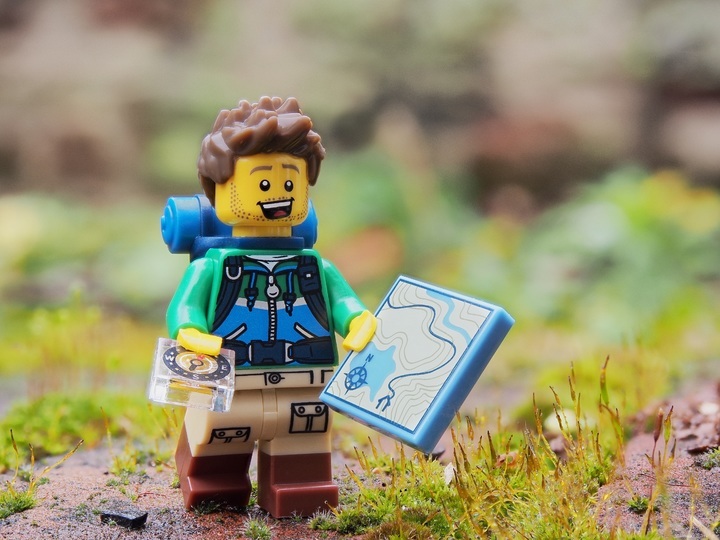 Good luck and enjoy the scenery! Good morning Benjamin,thank you for your hard work. Dear Benji ❤️ I hope you are well. I’d love to buy your Matrix cards in English and wondering if they can be sent to Sweden? Or will there be anyone selling cards at ACBS Nordic conference?